The hot hatch makes tons of sense to someone with a desire for driving excitement but needs more everyday practicality than a dedicated sports car might offer. It's hard to imagine two hot hatches that better manage user-friendliness and driving engagement than the Volkswagen GTI and the Ford Focus ST. Both these models pack more potent turbocharged four-cylinder engines under the hood, and they stick with the simplicity of a front-wheel-drive layout. But in nearly every other respect these two models feel like they’re on opposite sides of a hot-hatch division. 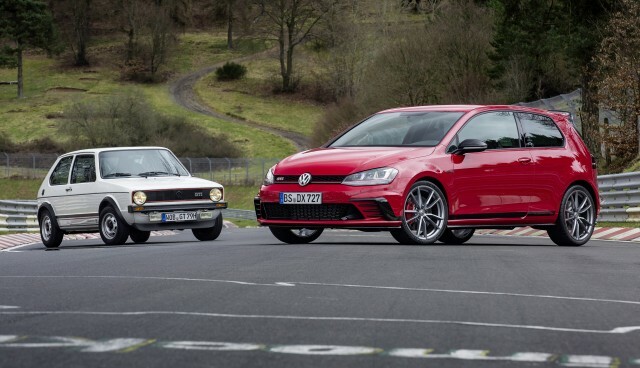 One thing to note is that both models offer an even hotter (and pricier) all-wheel drive version—the Golf R and the Focus RS. 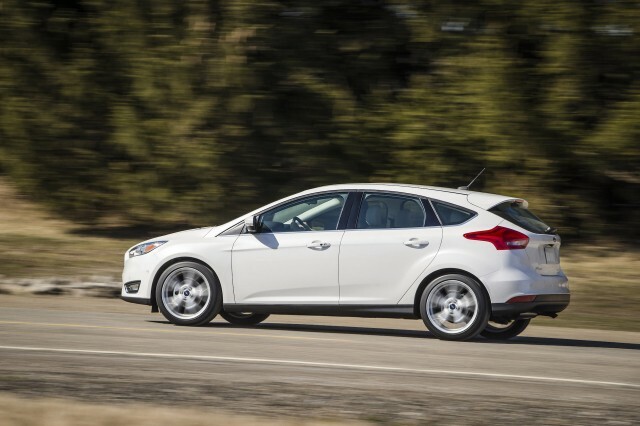 The design of the current Focus, fundamentally, is getting dated; but it still manages to look fresh. It’s flamboyant, to say that least, and its wide-mouth grille and swoopy side sculpting are at their best in the ST, which is lowered slightly versus other Focus models. 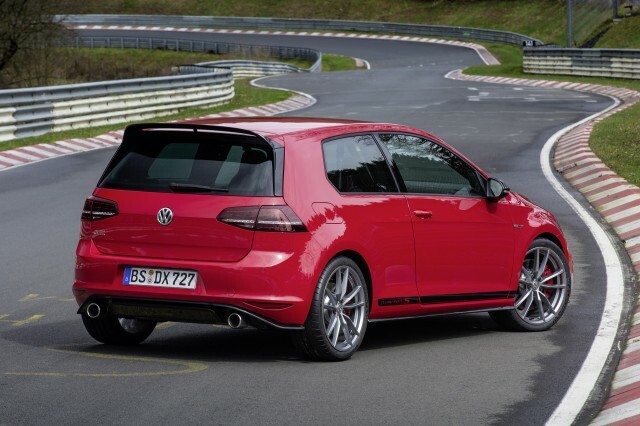 On the other hand, the GTI takes a conservative, understated path in its design; it could easily be mistaken for any other Golf (wheels and some trim differences are about the extent of it). 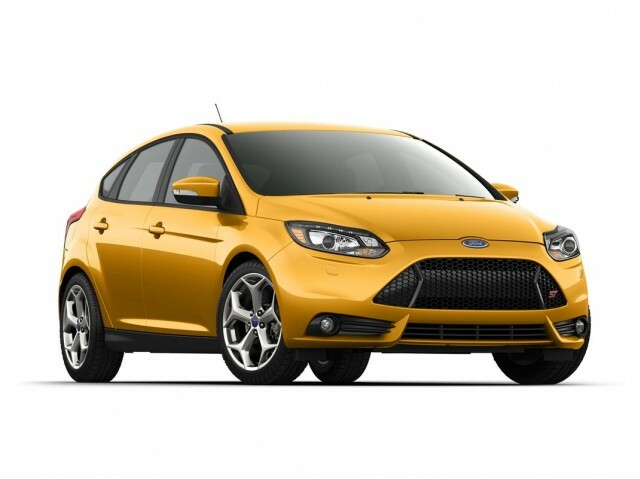 Inside, both of these models aren’t much different than their mainstream equivalents, but its the Focus ST that’s a little more flamboyant in its trims and available Recaro performance seats. The GTI’s plaid upholstery can delight some, too, but it’s a different direction. Under the hood, these two models both have turbocharged in-line four-cylinder engines. 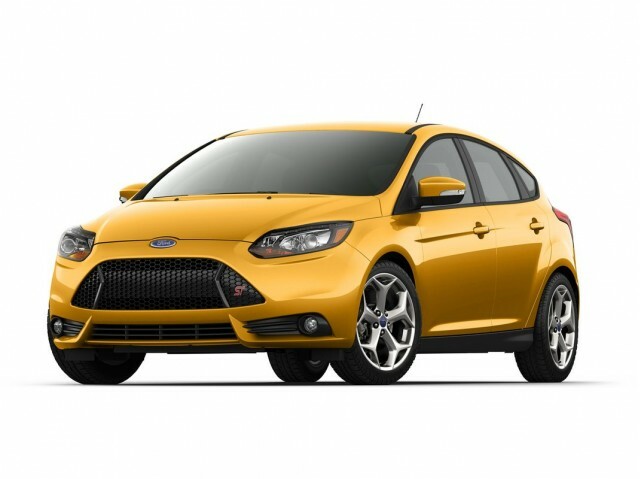 In the Focus ST there’s a 240 horsepower 2.0-liter, while the VW gets a 210 hp 2.0-liter (220 hp with the Performance Package). The two are quite close in torque, though, at 250 and 258 pound-feet respectively—or 270 lb-ft briefly for the Ford, in an overboost mode—and they both produce plenty of torque down low, without the need to rev into the upper ranges. 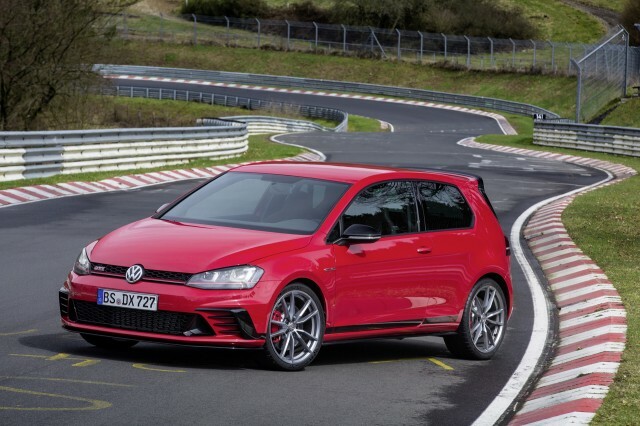 While both of these models offer a six-speed manual gearbox, the Volkswagen GTI offers a six-speed dual-clutch ‘DSG’ automated gearbox as well; it functions smoothly, like an automatic transmission when you’re driving gently, yet it can snap off quick, performance-oriented shifts as needed. Behind the wheel, these two models couldn’t be farther from each other in personality. The Volkswagen GTI is fluid and unflustered through some of the tightest, most undulating roads. It’s immensely capable, coordinated, and composed, and the electronically operated, hydraulically actuated, mechanically clutched front differential system (working with some great stability controls) is one of the keys to that. At the same time, some may feel that it’s a little too composed and electronically assisted. The Focus ST is nearly the opposite way; it has electronics that allow a little more leeway, letting enthusiastic drivers get a different experience that’s looser and a little more involving and technical for the driver. Both have great variable-ratio steering, although the steering in the ST might transmit just a bit more feel of the road back to the driver. In these days of multiple performance modes, neither of these two sporty hatches stoop to such gimmicks. The Focus ST does have a Sport (or full off) mode for the stability control, and both of these cars, through different means, pipe carefully curated engine sounds back into the cabin during faster-paced driving. 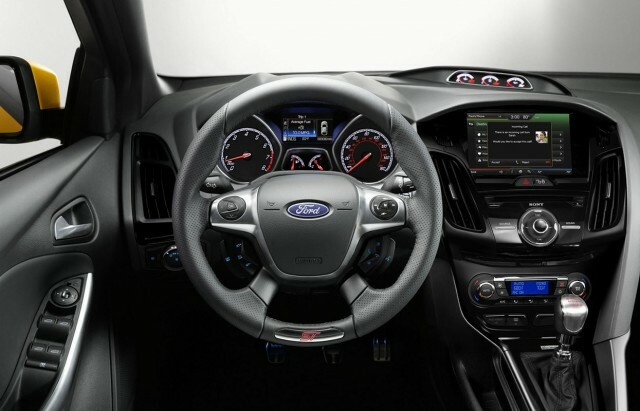 Inside, the Focus ST shows its weaknesses. It doesn’t ride in such a composed way as the GTI (which can be outfitted with a magnetic suspension), and its back seat is significantly more cramped; you could fit adults in the back seat of the GTI, provided you get the five-door model. 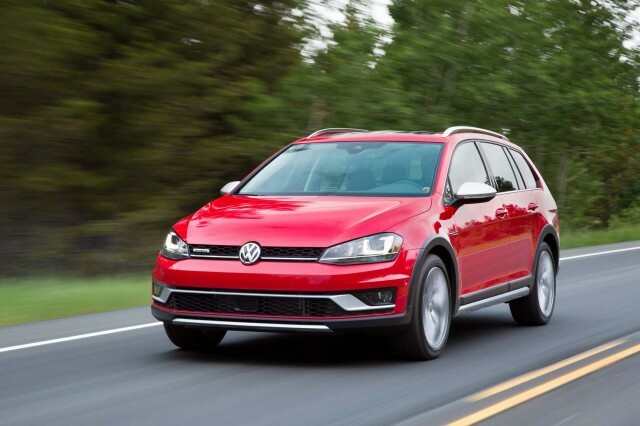 The GTI is a bit better for cargo versatility as well —although in both you can flip down the seats and get what, for a performance model, is a very impressive expanded cargo space. And that leads to another one of the key difference. While VW offers the GTI in a choice of three-door or five-door hatchbacks (or two- or four-door, depending on how you describe it), the Focus ST is only offered as a five-door. Both of these models are build on some solid safety credentials. The main-line models (both the Golf and Focus, respectively) have great ratings; for now we’ve put the Focus a point ahead, but as soon as the Golf is put through federal testing it just might have the advantage. We have sent your request for price quotes on the 2017 Ford Focus and 2017 Volkswagen Golf to the dealers you requested. They should be in touch shortly. Your request for a fast, free price quote on a 2017 Ford Focus and 2017 Volkswagen Golf is in process. The CarsDirect Dealer(s) listed below will contact you shortly to discuss your request and to provide a quote.